Award ceremonies take many different guises, whether a serious business awards or a glitzy glamorous razzle dazzle awards ceremony, we’ve got the right host to make the evening flow. From Comedians to Newsreaders, kicking off with a 15 minute hilarious industry tailored stand up or a motivational Thank You we’ve got the name to amuse or inspire. 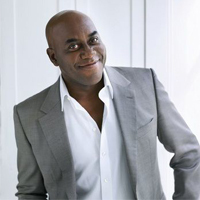 We have chosen a very small selection here of some of our favourite hosts, but do call us with your requirements and we will be happy to make suitable suggestions: Ainsley Harriot Celebrity chef and presenter of Ready Steady Cook and Can't Cook, Won't Cook, Ainsley is a joy for any awards ceremony not just food and drink related. Always affable and so much more than a TV chef he is one of our unsung national treasures, and was nominated by 3,000 people in a tongue-in-cheek campaign urging the Bank of England replace the face of Scottish economist Adam Smith on the £20 note with Ainsley! 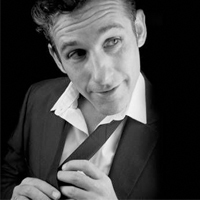 Tom Stade Tom’s irrepressible charm and magnetic stage presence make him a dream to have at any Awards Ceremony. After years of topping the bill and playing international comedy festivals around the Globe, Tom is now an established act on the UK Comedy Circuit. A joy at any corporate event Tom has brought the house down for diverse audiences including, women of influence, men in security, the men and women of the digital industry and Dentists! You only have to search twitter for Tom Stade Awards Host to find how many delegates have been rolling in the aisles at this man – and he looks pretty good in a DJ too! 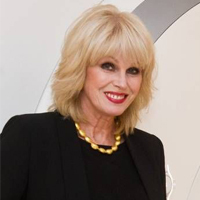 Joanna Lumley There really is not much we can say about this wonderful lady that has not already been said. Beautiful, charming, kind and caring, Joanna really is a national treasure. Whether she is appearing as the wonderfully awful Patsy in Absolutely Fabulous or campaigning on behalf of justice for Gurkhas, she is always a consummate professional. Glamorous and friendly Joanna is a superb awards host loved by young and old, whether relating tales of her Purdy to Patsy hairstyle at the Salon of the year Awards, or talking passionately about her green credentials at the Observer Ethical Awards Joanna is truly the most delightful, entertaining, and photogenic Awards Host you could wish for! Rachel Riley Rachel is fast becoming the go to girl for Science and Technology awards ceremonies, but although this Maths graduatefrom Oxford is the numbers whizz on Countdown as well as the host of The Gadget Show, she is also showing her lighter side alongside Jimmy Carr on 8 Out of 10 Cats does Countdown. Rachel is a delightful Awards Host for any event, intelligent as well as beautiful and she can Dance too! Loved by all ages from the older audiences of Countdown to the mixed aged audiences of Strictly Come Dancing and onto the younger fans of 8 Out of 10 Cats not many of your delegates wouldn’t be impressed by Rachel handing out the Awards Chris Ramsey Critically acclaimed stand-up comedian, Celebrity Juice regular, star of BBC2’s Hebburn and impossibly likeable and equally hilarious, Ramsey is a people's comedian, an anecdotal genius with uncanny ability to spin a joke out of fresh air. Ramsey’s banter got him thrown off Soccer AM sofa for misbehaving which led to him calling his sell out stand up show The Most Dangerous Man on Saturday Morning Television! 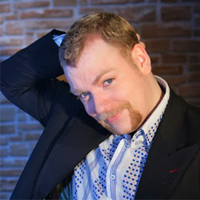 Chris is a hugely likeable character, warm, funny and a great Awards Host for any industry and audience, Chris is lively and likes to interact with the audience and always professional to the last. Rufus Hound Whether treading the boards on stage in Dirty Rotten Scoundrels, One Man Two Guv’nors or Neville’s Island at the Chichester Festival, or winning that dance thing for Sport Relief dressed up as Cheryl Cole! Rufus is always captivating, a huge personality with quite often a huge moustache! 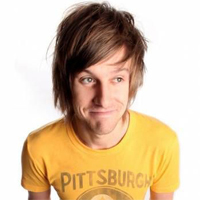 He’s done most panel shows from Would I Lie to You to 8 Out of 10 Cats….he’s also presented a whole heap of shows from Top of the Pops to Glastonbury. All of which makes him a wonderful Awards Host, impeccable timing, sparkling wit and a love of people led to the Nursing Stand Nurse of the Year Awards choosing Rufus as their host for 2015, he went down a storm with the audience who loved him and the client who was thrilled he took on board all their comments and made the evening a huge success. Natasha Kaplinsky Newsreader and presenter Natasha Kaplinsky was the first winner of Strictly Come Dancing back in 2004, 11 years and two children later and she hasn’t aged one jot! Always immaculately turned out this Oxford Graduate has been on our television screens since 1996 as a presenter of ITV news programmes, as well as a vast range of other network television programmes on BBC and Channel 5.An excellent facilitator and Awards Host, Natasha brings not only professionalism and a fantastic ability to host live events but she also adds a touch of glamour. 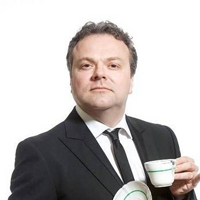 Hal Cruttenden Hal Cruttenden is a seasoned comedian, actor and writer. Hal is unashamedly suburban, by his own admission teetering on the edge of a mid-life crisis, his routine is a unique mix of comedy and sarcasm. An experience and professional Awards Host…from Catering, recycling and logistics’ to Advertising and even the Water Industry, Hal has been a huge hit handing out Awards and entertaining a cross section of delegates from across the UK. Accomplished professional, witty and ever so slightly camp he never fails to get any Awards ceremony off to a hilarious start and keep it moving. 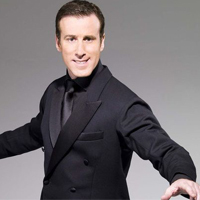 Anton Du Beke There really is no other Awards Host like Anton, always a gentleman. Anton knows how to handle a crowd, a consummate professional who is charm personified he will keep any event moving smoothly, whether it’s a Corporate Business event or a Charity Ball Anton is never flustered, always polite and always take the trouble to learn all about your event and industry. The Strictly Come Dancing veteran is in real life as he appears on the television, a true gentleman.